My last look at Slannesshi units comes in the form of the most deadly of all the Prince of Pleasure’s daemonic servants. Able to bring ruin to armies just on their own, in perhaps typical form for the god of excess, there are just so many good options to choose from! Its a real tossup if this or the Bloodthirster is the single most offensive model in the army. Each model has its merits, but at 80 points cheaper to start with, I’m inclined to say the Keeper of Secrets has a slight edge. Less able to take a knock than his competitor, nevertheless, the starting package is pretty impressive. A Level 1 Psycher with the option to be Level 3, its certain worth cutting out on the extra run move and instead using him to provide boosts to your force with a mixture of Telepathy and Excess psychic powers. In particular, if you manage to roll the number 5 Telepathy power, you will be having a very fun game, as your Keeper of Secrets will have a 4+ cover save, increasing to a 2+ when in cover! I would probably have a mix of powers, with a Level 3 having 1 Telepathy and 2 Excess powers. If you choose to mostly ignore his psychic ability though, you have a fast moving engine of destruction. With the extra +3 to his run move (re-rolled) and rending to help with opening vehicles (Strength 6+ 2D6*+D3- yes please!) and 6 Attacks striking at Initiative 10, you can run him bare, confident that he can do a lot of damage. Against all Eldar forces, Preferred Enemy will help you dish out the hurt even more, but understandably its pretty situational. Sticking with cheapness over everything again, I’m really tempted to keep this model without wings to cut down on his cost and just run him as a pure combat machine. The extra run move more than makes up for not taking wings and makes running the model with Warp-forged Armour not so expensive and bulking out on Psychic powers not so bad either. 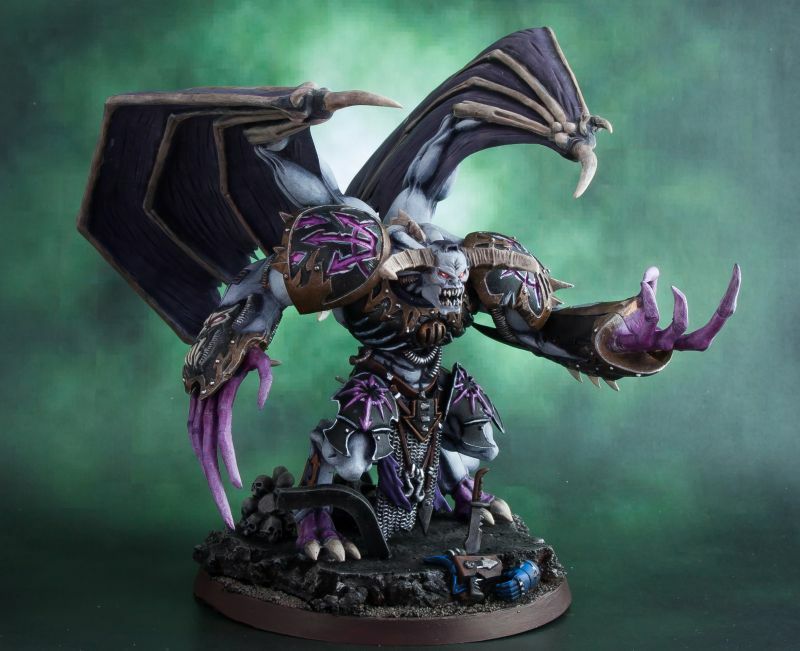 Regardless of if you run him cheap, or so expensive its about a quarter of your armies cost in a 1500 point game, its always best to take the model with either another Monstrous Creature or some Daemonic Vehicles to back them up. It provides several different targets, which will increase everythings survivability overall, and means that if you get it right, you can gang up on one section of the army and try and roll up a flank. 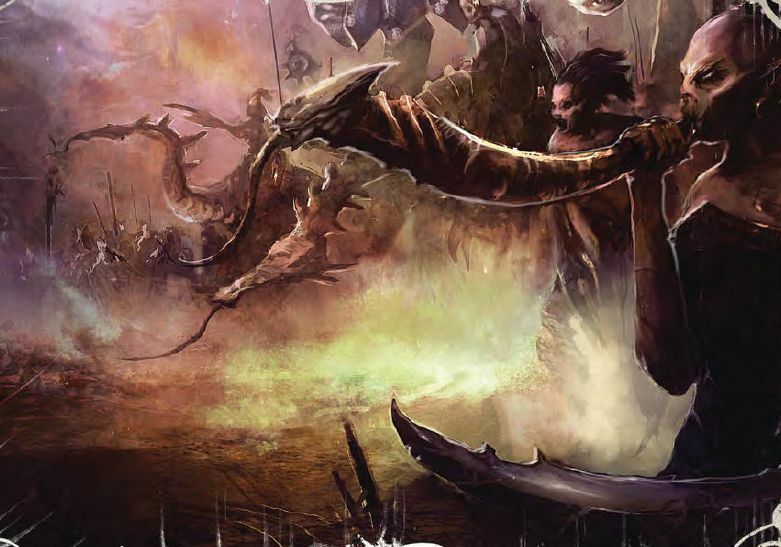 As I did for the Nurgle Herald, I’ve explained most of the uses of a Herald of Slaanesh in my tactica’s on Daemonettes and Seekers of Slaanesh. Its worth adding though, what makes Heralds so useful in a Slaanesh force is just how versatile they are. Having the option of a cheap mount really enhances what they can do, to the point that in games under 2000 points, I would be tempted to run just Heralds attached to squads. Of course, over 2000 points and its becomes pretty hard to resist taking a Monstrous Creature or two. But under 2000, and for definite in any games under 1500 points, its a competitive option- even if it does leave you a bit open to frustration at the hands of lists that spam fliers or vehicles. I’ve never really liked this Special Character. Though some players swore by her use is the previous codex due to the ability to pull multiple units out of cover a turn, she has one obvious drawback- Toughness 3 and that she is unable to join any other unit. Its that second part thats the killer and will mean game after game of your opponent getting a free killpoint for not much effort. To avoid this, she will have to be sheltered from harm until close enough to the enemy, whilst crossing you fingers and hoping that she survives any firepower that comes her way, or else your opponent forgets about her. Her three dances are nothing to write home about either…so all in all, for the cost of the model, you are better getting a few heralds or another Daemonette unit (gotta love those cheap units!). So thats it everyone. I’m halfway through my exploration of the Chaos Daemons Codex. Next week I move onto the Khorne, the Lord of Skulls and very bad hangovers. Before that though, I’ll be giving a few examples of lists you can make for Mono Slaanesh armies. Firestorm games have most of the Slaanesh range for sale on their site- all at a minimum of 10% off. *For being a Monstrous Creature.